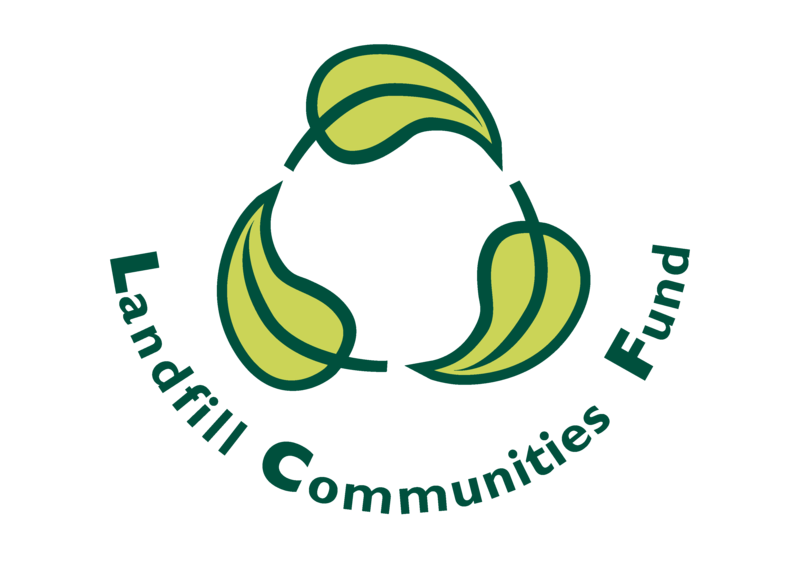 LANDFILL COMMUNITIES FUND | Funding for local community projects in Staffordshire. Projects which directly benefit the community or local environment could be eligible for funding. Providing, maintaining or improving a public park or amenity which directly benefits the general public, including community centres and village halls, public sporting facilities, and bridleways and cycle paths. The park or amenity should be open to the general public for at least four evenings or two days a week, or at least 104 days a year. The park or amenity should not be restricted to a specific user group defined by age, gender, race or disability etc. The park or amenity must be run on a not-for-profit basis. The conservation or recovery of a species in its natural habitat OR the provision, conservation, restoration or enhancement of a natural habitat. Maintenance, repair or restoration of a religious place of worship or a building of historical or architectural interest which is open to the general public and is not-for-profit. If your project is within 3 miles of our licensed landfill or treatment and transfer station, you could be eligible for funding. Contact us to check if your project is eligible for the Landfill Communities Fund. Successful applications may be funded to any amount up to the requested figure. We work closely with the Derbyshire Environmental Trust who administer the Landfill Communities Fund on our behalf. The Derbyshire Environmental Trust was established in August 1997 to meet the need for landfill tax contributions to go through an environmental body. 1. Request application pack and seek guidance on the eligibility of your project. 2. Complete the application form and return to Derbyshire Environmental Trust along with any supporting documents/ information. 3. Your application will be reviewed by the Red Industries Landfill Communities Fund Committee. Applicants will be informed of the decision by letter. 4. If successful, obtain and submit copies of at least three competitive quotations for the work. 5. Derbyshire Environmental Trust will seek to adopt the project and register it with ENTRUST (the national regulator of the Landfill Communities Fund). 6. Once registration is confirmed, applicants will be sent a draft legal agreement and asked to provide the Third Party Contribution. 7. After the Third Party Contribution has been received and the formal contract agreed, work may begin. Applications are accepted all year round. The RED Industries Landfill Communities Fund panel meets 3-4 times per year to review applications. Community benefits of the project. For example, how many people will benefit from it, improvement of facilities, etc. Any environmental benefits of the project. For example, through the use of recycled materials, improving appearance of the area, enhancing biodiversity etc. Community support or involvement in the project (e.g. fundraising or volunteering). Requested amount of funding from the Landfill Communities Fund and details of the Third Party Contributor(s) who will pay 10% of the grant awarded. Estimated start and end dates of the project. Since its inception in 1997, over £1.6bn has been spent on more than 60,000 projects across the UK. The Landfill Communities Fund enables Landfill Operators to contribute money to organisations enrolled with ENTRUST as Environmental Bodies. Environmental Bodies use this funding for a wide variety of community and environmental projects within the vicinity of landfill sites. Since acquiring the landfill site in November 2016, we have been committed to providing the Red Industries Landfill Communities Fund. The first projects were approved for funding in July 2017, and since then we have gone on to approve funding for a whole range of projects in the local area. Funding has been awarded to Orme Amateur Boxing Club to go towards part of a larger project to extend the building. The club has a positive impact in the local community, with a long waiting list of people wanting to join. The extension to their facilities will help them to expand and engage more people in the area, as well as developing facilities for females and young adults. The extension project is largely being funded by a £150,000 grant from Sport England. We are pleased to be able to provide some additional funding towards their extension through the Red Industries Landfill Communities Fund. The funding will also enable them to purchase more equipment, including a new boxing ring. Over £25,000 has been awarded to St Michael’s & All Angels Church, Chell. The money will be used to repair and replace the flat roof above the community hall and rooms. New outdoor training nets and practice facilities will be installed, to replace their existing facilities which are no longer suitable for use. The club was awarded £29,000 towards the project. Goldenhill and Tunstall Scout Group were awarded funding to replace and modernise their well used kitchen facilities. The kitchen is used for cooking classes, by the scouts, and by other groups – with the vision to increase its usage for the local community in the future. Over £5,000 has been awarded to Sandyford Cricket Club. The money will enable the club to replace their wooden storage building with a more safe and secure facility. Halmer End CIC have been awarded funding to renovate and their kitchen facilities. Their kitchen is used by a number of groups and people in the community and is the heart of Minnie’s Tea Rooms. £21,000 was awarded to the club for them to replace the current felt clubhouse roof. The roofing had been in place since 1959 and had started to leak. The funding will enable the club to keep the facilities watertight. Funding was awarded for the club to install a new viewing rail around the green. They were also approved for funding to repair the leaking flat roof to keep the facilities watertight. Over £29,000 awarded to install security fencing around the perimeter of the Pool Dam pitches to keep the facilities safe and secure. New goal posts and signs were also erected. The project was completed in November 2018 and has made a significant difference to the club and local community. £100,000 awarded to construct new changing rooms and showers for male and female participants and officials at the Lyme Valley cycle track. The changing rooms will also be utilised by Newcastle Town FC who are based at the same location. Improvements to the Fishing Pool and surrounding environment, including renovation of the paths around the pool and improvement of disabled access. Over £29,000 of funding has been approved for the installation of an outdoor three lane cricket training net cage. This will enable the club to meet the need for a secure environment for players to practice their batting and bowling, as well as a usable space for other activities whilst the main cricket pitch is in use. Acquisition of equipment and machinery to help improve playing conditions and grass verges. Equipment includes tractor, roller, and aerator. The machinery will benefit the cricket club as well as the local football club. The project will replace and repair the roof of the club house to prevent leaks/ problems with drainage. 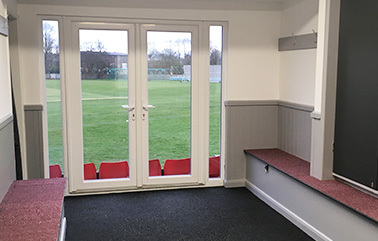 Significant internal improvements have been made to the club house, and the funding from the Red Industries Landfill Communities Fund will help them to ensure the building is watertight and protected for years to come. We have approved £54,000 of funding towards the repair and restoration of the well-used 400m running track. The club has around 375 members, as well as offering C25k, park runs, road races, and being available for the local schools. We’re pleased to be able to support this community athletics club with a grant from the Red Industries Landfill Communities Fund. > Find out more about the club. The organ, set in the Grade II listed Keele Chapel, is in constant and daily use. This exciting heritage and cultural project not only means that the instrument can receive some much needed TLC, but will also complete the original vision for the chapel through the inclusion of an ornate screening for the organ. Over £50,000 of funding has been awarded to the project from the Red Industries Landfill Communities Fund. Find out more about the organ restoration project. Newcastle and Hartshill Cricket Club applied for over £34,000 of funding from the Red Industries Landfill Communities Fund. Their existing shower and disabled facilities were not ideal and in a bad state of repair. 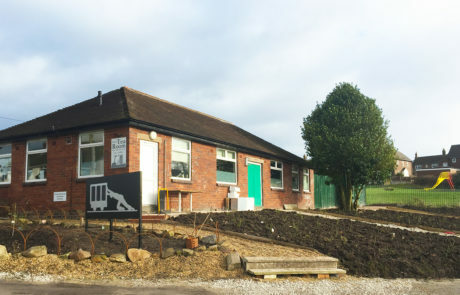 The project will involve a complete refurbishment of this part of the club house, which will significantly improve the facilities for the cricket teams, local schools, and other members of the community who use the club. The project has now been completed and looks fantastic. The club celebrated with a Beer and Gin festival, which included an opening ceremony for the new facilities. Regenration charity UKHBPT have been awarded £100,00 to support the development of 11 dilapidated terraced houses in Middleport. The £1.9million Harper Street project will see the Victorian terrace restored and opened up to the public in Spring 2020. The end terrace, once home to pottery’s lodgekeeper, will build on Middleport’s heritage offer and give visitors an authentic insight into the area’s social history. Additional uses include; workshop space for creative businesses, an accessible research centre for Middleport Pottery’s extensive archive and a hub for local community group, Middleport Matters. Find out more about UKHBPT and the work at Middleport. Funding was requested to enable the completion of Phase 2 of the development of a new play park at Ilkley Place, Silverdale. Over £6,000 of the funding to complete the project, including the installation of outdoor exercise equipment, has been awarded through the Red Industries Landfill Communities Fund. The remaining part of the funding is from Staffordshire County Council (Councillor Dave Jones’ Local Community Fund budget). 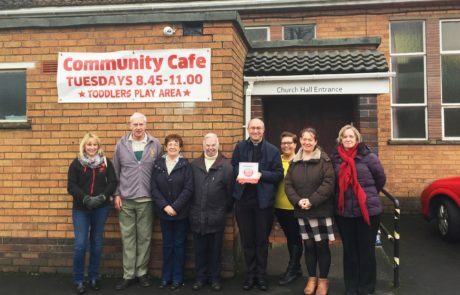 The project is a partnership between Western Communities Locality Action Partnership (LAP), Silverdale Parish Council, Newcastle-under-Lyme Borough Council and others. St Margaret’s Church in Wolstanton have been approved for £35,000 of funding to replace the existing gravel paths, and create a new path in the lower section in their Churchyard. The new paths will improve access for mourners and visitors to family grave plots. They will also provide a safely negotiable walking route around the churchyard. 67th Burslem Scout Group were looking for funding to help them improve safety and access of the scout hut through a number of improvements. The priority was to install fencing around the perimeter of the site to make it secure for children and young adults to take part in outdoor activities and camp outs. They also want to create a useable outdoor area with vegetable plots. The final part of the funding will help them upgrade their fire doors. The group were approved for over £54,000 of funding from the Red Industries Landfill Communities Fund. 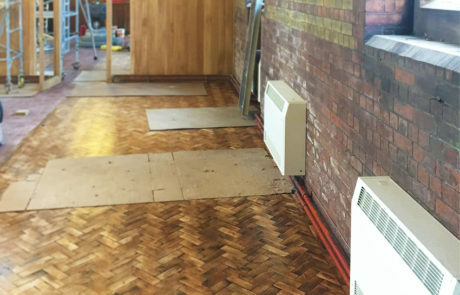 All Saints Church, Hanley, were approved for over £50,000 worth of funding for the installation of heating in the church. This forms part of a wider project at the church, which includes the restoration of the building and repurposing of part of the church to create a separate space for groups to use. The creation of a new space will allow them to open up the church to new groups and events. The Realise Foundation worked with the local community to develop a visual reference to the social history of Chesterton. A landscaping piece and mosaic will be embedded in the slopes of the prominent site, and will be surrounded by a managed meadow. The piece will depict the key industries of Chesterton – mining, brickwork, foundries, and pottery. The project has been approved for £10,000 of funding through the Red Industries Landfill Communities Fund. Eastwood Hanley Football Club were experiencing issues on their pitches from stray horses, dropped drug paraphernalia, and motorcross bike riders. They applied for funding to install fencing around the perimeter of the site as part of their Make it Safe, Make it Secure campaign. Their application for £35,000 worth of funding was approved and the fencing was installed in Feb 2018. Silverdale Parish Council applied for funding to enable them to erect the former Silverdale Colliery Pit Wheel in a position of prominence, as a tribute to the people who worked at the mine before it closed. This project was supported by the local community who wanted to see it restored and erected. Funding of over £12,000 has been approved for the project. St Barnabas Church is at the heart of the Bradwell community. The church and hall had experienced repeated vandal attacks and, after consultation with the building’s users and local police, they decided to install a security system. The church received just over £3,000 of funding to install the CCTV, which will hopefully deter and help identify any vandals. The project was completed Jan 2018. Halmer End CIC were approved for over £2,000 of funding to create a memorial rose garden. The garden is a tribute to North Staffordshire’s worst ever mining disaster, where 156 men and boys who lost their lives. The Minnie Pit Disaster occurred on 14th January 1918, and the memorial garden marks 100 years since then. Red Street Community Centre have bee approved for just over £9,000 of funding to enable them to replace the broken chainlink fencing at the front of the centre. Having secure fencing will outdoor space to be opened up for groups with children or vulnerable people to use. Newcastle Town Football Club Youth have a number of teams using their pitches. They have successfully installed floodlighting at their Roe Lane Pitches to help extend the hours the pitches can be used, particularly in the winter months. 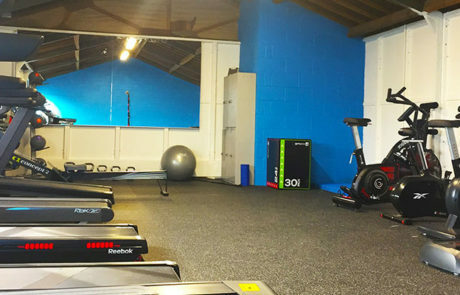 They have also re-done their onsite gym facilities, installing new equipment and turning it into a useable space. To help them maintain the pitches to a high standard, the club have also purchased new cutting equipment. In total, the club have received over £98,000 to make the improvements to the facilities. 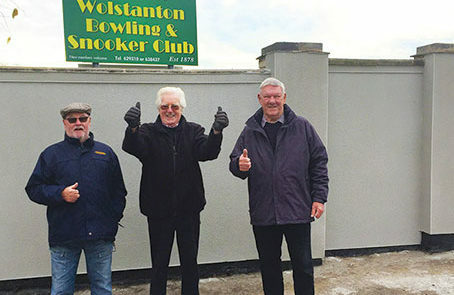 Wolstanton Bowling and Snooker Club received £3,000 through the Red Industries Landfill Communities Fund to repair and re-render their crumbling exterior wall. The project was completed in October 2017 and has given the club a fresh new look. The wall significantly improves the appearance of the club, and it’s hoped that this will help to encourage new members and community groups looking for a space to use.